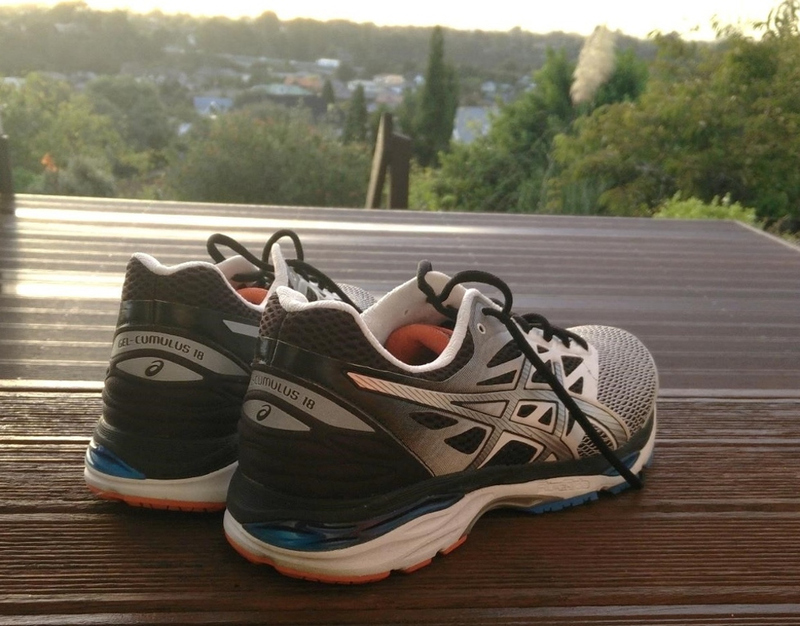 A large number of reviewers valued the comfortable ride of the Gel Cumulus 18. The price is around the average of well-cushioned, neutral trainers. It has 5 color options. Several runners loved the way the cushioning softens the impact. The arch support is reliable without being too aggressive, according to a handful of runners. It is very breathable, based on the observations of some users. A few noticed that the cushioning does not compromise the Asics Cumulus 18’s flexibility. Ground feedback is perceptible despite the excellent cushioning, as noted by more than a couple of runners. Several runners with foot pain and under pronators found something that can alleviate their discomfort in the Gel Cumulus 18. Many were frustrated by the narrow toe box of this version compared to the last model. More than a few had durability issues in the upper, particularly near the toes. The heel and forefoot are narrow while the height of the toe box is not what it used to be, as reported by a large majority of runners. Even the extra widths are just too narrow and tight, based on a good number of observations from loyal Cumulus fans. Several runners noted that the 18th version of the Cumulus runs smaller than the past model. More than a couple of runners needed time to break-in this shoe. The Cumulus series is one of Asics’ most popular neutral trainers. In the 18th edition of this line, it continues to be a reliable training partner that can usually take on middle distance to high-mileage runs. It has superb arch support, tons of comfort, and can easily provide the needs of both entry level and seasoned runners. The reasonable price is only one more reason why this series continues to horde fans with every release. Asic’s Gel shoes are reputed for their cushioning system, and Asics seem to have hit a home run with their Gel Cumulus 18. As someone with high arches, I used to run on my New Balance 890 V2 for almost four years. I was looking for a pair of shoes that provided additional cushioning on the lateral side of my feet. After a lot of research, I went for the Cumulus 18, and it was a big switch for me to move to Asics. Asics are known to come up with some of the visually appealing shoes on the market, and this was no exception. The blue and orange tones look so cool and will surely catch the eyes of those passing by (in a nice way, of course). The mesh upper adds to the looks, and the grey-white tones nicely complement to the contrasting blue and orange. The heel counter has the model and the Asics branding. There are no seam overlays, and the upper is molded for a solid fit overall. In a line, this shoe is super comfortable from the moment you slip your feet into it. The toe box is very comfortable and roomy as mine is size 4E. This is particularly important for someone like me with high arches. The heel counter is sturdy, and there’s ample cushioning there. The gel pads on the lateral side of the shoe give a very comfortable run around tight bends. The forefoot cushioning provided by FluidRide midsole is great. It makes those long runs a breeze. I was able to run for an hour and a half in these comfortably. It wasn’t as responsive as my old New Balance 890 V2, but that’s always a trade-off when you prefer cushioning over responsiveness. The lacing is great, and they stay tight once you’ve laced them up. The tongue is also well cushioned and sits snug on your feet. Most Asics shoes come with their proprietary AHAR+ abrasion resistance rubber on the heel. They’re known to last, and these are no exceptions. After putting about 100kms in my Cumulus 18 on mostly asphalt and concrete, they still look the way they were out of the box. A lot of the users complained about the upper wearing out near the toebox while running. This was due to their toes rubbing against the upper. I personally did not experience any wear, and the shoe still looks in great nick. I also wash my shoes every month and let them dry. So some maintenance gets your shoe looking new for a long time. The Cumulus 18 has the younger brother, Nimbus 18. Nimbus shoes are known for their aggressive cushioning. For someone like me who also likes a little responsiveness, the Cumulus 18 was a great choice. Also, these are cheaper than the Nimbus 18 while providing a great cushioned ride. The upper is nice and breathable and ventilates your feet well. It doesn’t have a large heel to toe drop like my old 890 V2, and I had to get used to it initially. But it was great once you get used to the small heel to toe drop. The system between the heel and midfoot provides great stability around those bends and corners making your runs a joy. The shock absorption of the foam and gel pads was exceptional. After being skeptical to jump from a shoe like NB 890 v2 to the cumulus, which is worlds apart, I can say comfortably that I can’t be any happier. These are great shoes for someone with high arches like me who don’t need any medial side support, but plenty of support on the lateral side. The midfoot-forefoot cushioning is exceptional while not compromising heavily on responsiveness. There’s a good reason Asics names these shoes after clouds. You could run for hours together in these, and you’d still be ready to push for some extra kilometers. Asics Gel Cumulus 18 is my first running shoe, and this review is coming after I used them for about 1000km in different conditions. I started to use them back in early 2017, and I still use them today as spare/rotation shoes, but only for easy runs up to 10 km. For about 6 months I had only this pair of running shoes to use both in training and racing, so they have a really solid background. First of all, I have wide feet, and when I bought them from a local store, they had in stock only the normal width but in all sizes. For this reason, I had to go up in size, so they properly fit. There are sufficient heel grip and an adequate midfoot fit. Forefoot fit wasn’t perfect at first run, but after a couple of runs, there were no issues with it. The only fit issue I had was because of the shallow and uncomfortable toe box. My runs over 20 km ended with a few numb fingers both feet, but this could have happened because of the cushion on the forefoot. In the photo, below you can observe that the condition of the sole is very good even after the use of almost 1000 km. This confirms a very good quality rubber used by ASICS in the outsole unit. The outsole is made of soft blown rubber under the forefoot and harder carbon rubber under the heel, a solid and durable combination. The forefoot rubber is considered to be a likely point of failure, but it wasn’t the case with this one. The midsole is made of dual-density compression molded EVA foam, gel pads, plastic midfoot shank with a classical 10 mm heel drop. The combination of technologies used in sole unit guarantees for a well-distributed cushion, a flexible sole, and a medium-soft ride. Midsole responsiveness is extremely low with a poor rebound. The positioning of gel pads on the right side and a softer outer side are generating a slight lateral midsole bias but this is not an issue, and there is good support both for ankle and foot arch. The upper is a mix of fused and stitched synthetic over a traditional very breathable mesh base. Entire upper is seamless, so there is a high probability for blister-free runs. In the rainy days the mesh lets too much water into the shoe with poor and slow evacuation, almost doubling its weight, and this is an issue to consider especially that Asics Gel Cumulus 18 is a mid-weight shoe. This issue can be neglected for lighter shoes but not the case here. The toe-box height is cut down vertically, and this means that the big toe is going to stick through the mesh making it prone to tearing. Fortunately, this was not my case. In my opinion, if Asics would have to remove the synthetic piece in front of the shoe, leaving only the mesh, this would have been a very wise decision. The shoe uses a traditional lace-up closure that offers a personalized fit. The tongue comes without an inner sleeve, and this leaves the tongue free to slide, but this is not such a big issue. The sock liner gives extra cushioning; it is removable and washable. Asics Gel Cumulus 18 can be used on flat roads, hard soil trails and even on treadmills. It can be used for easy/medium paced runs up to marathon distances. So if you are looking for a mid-weight and high-mileage neutral running shoe with mid-cushioning, suitable for all-around use, Asics Gel Cumulus 18 can be a good choice to consider. Asics has continued to refine their workhorse shoe for over 18 years; continuing to make it a little bit lighter, a little more flexible, and definitely enhancing the softness and the ride. The ASICS GEL-Cumulus 18 is a basic running shoe that provides everything neutral runners need for long and comfortable runs. 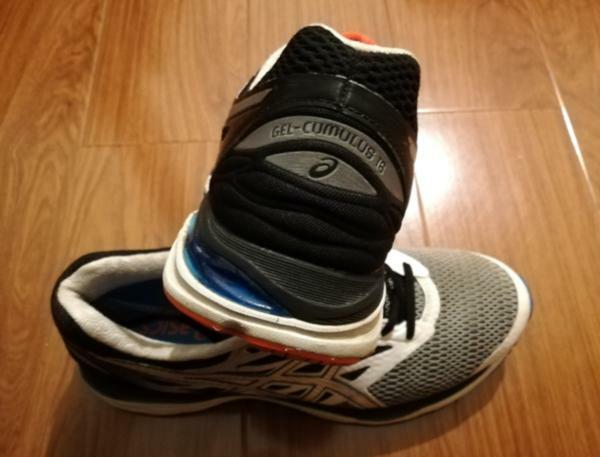 Asics did not steer away much in the Gel Cumulus 18, relative to the previous model, which is a wise thing to do as the earlier version was resounding success for countless runners. In the latest iteration of the Cumulus, Asics brings the cushioning nearer to the foot for better shock attenuation. This is the biggest change in this version and is also geared towards a more natural feel when the foot hits the ground. This Asics running shoe also uses a slightly thicker and open mesh for enhanced shoe ventilation. The removal of the overlays in the toe box gives it a more forgiving fit. Asics also changed the stitched toe protection into something that is welded. Weight is also minimized with these changes. Another change is in the size of the midfoot shank. It is no longer extends farther to the heel than previously utilized. It helps with weight reduction and makes the movement from landing to take-off a bit smoother. This development is also made so the new cushioning set-up will be fully maximized. The fit of the 18th instalment of the Asics Cumulus 18 is basically the same as the prior version, except for the slightly lesser room in the toe box. For those who are between sizes, getting up in size should be considered for some breathing space above the toes. The midfoot and heel hold are quite good that is also not restrictive. It is of standard shoe length. The outsole layout of the Cumulus 18 is rather standard in Asics shoes. A huge cut from the heel that slims a little as it goes to the forefoot increases the efficiency of movement from heel to toe. This vertical flex groove called the Guidance Line is met by a couple of horizontal grooves called the Omega Flex Grooves for flexibility. The usual AHAR+ rubber is in the heel and other areas for improved durability. A softer blown rubber occupies the forefoot and most of the midfoot for enhanced traction. The midfoot is devoid of rubber and shows part of the midfoot shank to save some weight. Asics’ top of the line FluidRide midsole foam covers the entire Gel Cumulus 18 for excellent cushioning and rebound features. It is very durable despite being very light. The landing to take-off process is enhanced by the full-length nature of this midsole foam. This running shoe, like the Cumulus 20, makes use of the notable Rearfoot and Forefoot Gel Cushioning. These silicon-based shock-absorbing material is placed closer to the foot to mimic how nature attenuates shock. The TPU midfoot shank or the Guidance Trusstic System adds torsional rigidity and gives the runner some pep after landing on the pillowy cushioning. The upper of this neutral running shoe is made up almost entirely of very breathable mesh and welded overlays. As the entire upper is seamless, there is potentially lesser risk of getting blisters or hot spots. It has a well-padded ankle collar and tongue for luxurious comfort. A removable ComforDry sockliner gives added cushioning with moisture-wicking and anti-microbial properties. It uses a traditional lace-up closure in getting a more personalized fit.